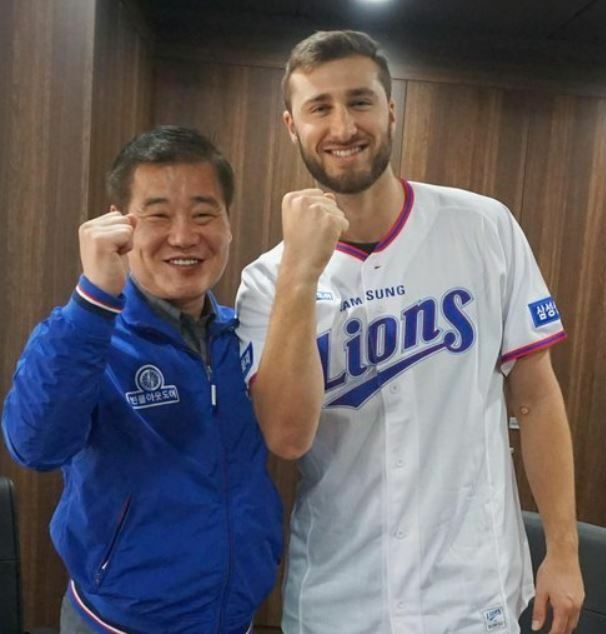 The South Korean baseball club Samsung Lions on Thursday announced their signing of former major league pitcher Tim Adleman. The Korea Baseball Organization team inked the 30-year-old right-hander to a $1.05 million deal, including a signing bonus of $100,000. Adleman was drafted by the Baltimore Orioles in the 24th round in 2010, but didn't make his big league debut until 2016 with the Cincinnati Reds. In 2017, he made 30 appearances with the Reds, including 20 starts, and posted a record of 5-11 with a 5.52 ERA. In the minor leagues, Adleman has gone 22-32 with a 3.57 ERA in 118 appearances. The Lions said Adleman can touch 150 kilometers per hour (93.2 miles per hour) with his four-seam fastball, and added he has good command of his breaking pitches. The Lions finished ninth among 10 clubs in 2017, and they were dead last in team ERA with 5.88. No team allowed more hits and home runs than the Lions, only three years removed from their most recent championship. They have decided to part ways with both of their foreign starters from this past season. Anthony Ranaudo went just 2-3 with a 6.80 ERA in 11 games, while Zach Petrick was just 3-10 with a 6.18 ERA in 25 games.